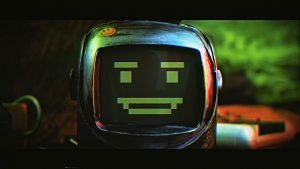 Guns, Cyborgs and Tomato Sauce – Meet the Masebrothers’ ‘Cyborg – Deadly Machine’ - NewRetroWave - Stay Retro! | Live The 80's Dream! The sad reality as of today, dear reader, is that France could not disregard sci-fi and fantasy movies any more than it does if it tried. For a country known for its rich culture in animation, the film industry in the land of cheese, wine and bread has grown to lose all ambition beyond the confines of family comedies and slice-of-life drama films. As barren a landscape as it may seem to those with an undying thirst for fantasy and wonder, geek culture lives on and thrives on its own means in France, thanks to its dedicated fans who have taken to the internet to create, experiment and innovate far beyond what their film industry would dare to even consider making. Our case and point here is the terrific work by the Masebrothers from Toulon, a team of Youtube creators with a passion for Eighties and Nineties pop-culture and corny jokes. Having loved their previous, action-packed short Rage of Fire II, we were thrilled to hear that the guys are back at it and ready to take their craft to the next level. 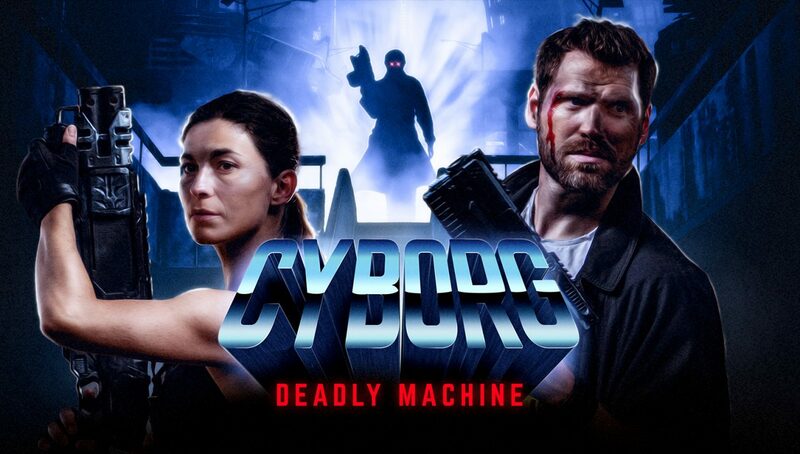 Retro-heads, meet Cyborg – Deadly Machine, the Masebrothers’ latest love letter to Eighties Action Sci-fi flicks, a love letter to James Cameron’s Terminator… with a tomato-flavoured twist! The guns are loaded and the pasta-water is on the stove, however, the Masebrothers are in need of your help to get their dream project to life, which is why they have set up a Kickstarter page to call upon your interest and support for this project. As we further enquired about the project, we took the opportunity to ask Masebrothers co-founder Mathieu Caillière about the channel as well as the project. First off, can you say a few words about your background as a collective? We’re a bunch of buddies that make short-films. Two years ago, we decided to start a Youtube channel and make videos dedicated to Eighties and Nineties pop-culture. We basically wanted to do work on something related to the whole Retrowave culture, whether it be music, films or retro-revival TV series. Masebrothers is basically three creators: Jérémy Vazzoli who has a graphic design background, myself (Mathieu Caillière) –a graphic designer who does a bit of 4D Cinema, VFX and film post-production, – and Sébastien Petitjean, with whom I createdthe channel and who is also a graphic artist. 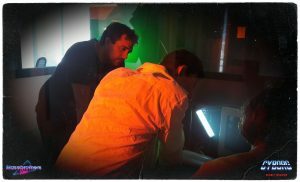 Sebastien does the writing and I’m more on the directing, editing and special effects sides of things. At which point did you realize you wanted to work within the whole Eighties and Nineties pop-cuture aesthetic? We’re actually Eighties kids. I’m thirty-five and we’re all around the same age, so it’s what we knew when we were kids. We’re paying homage and recreating the candor of our childhood, how we heard music and how we saw movies back in the day. It’s basically a tribute born out of our love for that era. The credits in your videos and short-films indicate that you all have a large set of skills. Were there any that you were recquired to learn on-the-fly? We do work on many aspects, but we keep learning with each shoot we do. Our limited means of production forces us to think of new, smart ways of moving forward and overcome constraints. Of course, it would be great to have more resources and more people to guide us along, but we also learn a lot this way. I did study editing though, so I already knew that. I started making movies when I was in middle-school, so my first steps in filmmaking were with me playing with my dad’s film camera when I was a kid. Your videos feature a whole lot of old props and accessories. Were these part of your collection or did you have to hunt down some of these objects for your purpose of the videos? Actually, we’ve had to buy a lot of things – like old TVs’, old dial-up telephones and radios, because we unfortunately didn’t keep everything from back then. We also got a lot of things from our families. We’re very fond of vintage action-figures we used to play with when we were kids, so some of those were part of our personal collection that we kept in our dusty cardboard boxes. We made a trailer called Toys War, where we only used action figures. There were basically X-Men and GI Joe figurines fighting together. We used some of our own and bought a few more for the film. It was part of our little passion as collectors. Are there any props you’re still looking for? Some things that are hard to come by? We’ve had trouble finding a good Sony Walkman Cassette Player. They’re hard to come by and they’re really expensive to buy online nowadays. There were also these watches with TV screens on them. It would be awesome to find one of those. Those are also outrageously priced, they’re collector’s items. If we manage to get one of them, we’ll obviously make a film based around them [laugh]. Moving on to the main subject: Cyborg – Deadly Machine. What is it about and what are your ambitions for the project? Cyborg –Deadly Machine is the story of a bunch of a Resistance-faction that’s fighting against machines. The atmosphere is very similar to James Cameron’s, only here we have some pretty eccentric characters on board. The Resistance is led by this female warrior called Stacy who, on her way, meets our main-man Alex, a guy who is fixated on making tomato sauce in a world where tomatoes have pretty stopped growing. 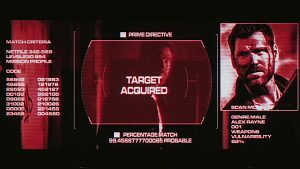 Together, they will find a way to fight against the machines, all the while being tracked by an ultra-sophisticated, deadly Cyborg. Cyborg – Deadly Machine is a tribute to Eighties and Nineties Sci-Fi and Action films. It’s a continuation of what we do on the channel with our sketches, fake-commercials, fake trailers and short films. 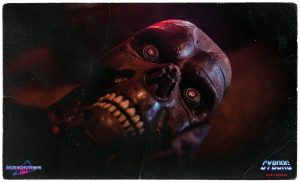 Last year we release a short called Rage of Fire II dedicated to action films and retro-gaming, and this time around we wanted to pay tribute to the Sci-Fi genre, namely the Terminator franchise that we grew up on and its technical aspects. A lot of these films were done with mostly practical effects. We’d like to work with more traditional means, such as animatronics and model-sets to create our universe. The idea is to use the old means to shoot the film with our own means. That’s what we want it to look like, anyway. There will still be some digital effects for things like gunshots and explosions for budgetary reasons, but we’ll be using animatronics for the Cyborgs in the film, for instance. The film will be roughly twenty to thirty minutes long. That’s what we’re aiming for with the Kickstarter project, anyway. How did the tomato sauce storyline come to be? It sounds like you had a lot of fun during the writing process. [laugh] The film is pretty serious from a visual perspective, but here at Masebrothers Productions we’ve got a thing for humor and the absurd. We’re not making fun of Eighties films but rather we’re having fun with their common tropes. We wanted to go for something a bit more light-hearted, thus came the whole idea with the tomato sauce. It’s about a quest for flavor, in a barren, post-apocalyptic world that has lost all flavors, where it’s all about survival and robots ruling over everything. Alex’s way of being consists in seeking things that remind him of humanity, symbolized to him by tomato sauce. He’s also followed around by a little robot, who will be adding to the film’s comic relief. Your Youtube channel combines sketches in both English and French. What made you decide to start shooting these short films in English? We launched the channel with a film called Kickin’ Jack, which we filmed exclusively in English. We were really marked by the big, buff voices we used to hear in American blockbuster movie-trailers, more so than those we’d hear in French. We wanted to use them in our films. We’re heavily influenced by American pop-culture and Asian films like those made by John Woo, and we wanted to do a throwback to the way we perceived them at the time. Some of our sketches are in French because all of our short-film are done in English because we weren’t sure we were going to gather an audience for them in France. Given that we followed certain channels like NewRetroWave, we figured there’s a larger audience that would be interested in what we do, namely thanks to films like Kung Fury that really helped in getting the ball rolling. We thought it would be more fun to branch out beyond French audiences, even if we do sometimes shoot sketches in French because it’s also part of our culture. Is your DIY approach more of a personal choice or rather the result of a perceived lack of interest from production studios? I don’t think we’d be of much interest to producers. We didn’t go see any, and I can’t really think of anyone we could conceivably work with. It’s not like we’re Christophe Gans [rire]. We’re pretty low-level, so it’s a little complicated. We’ve always done things this way. We’ve often stitched things together ourselves. We’ve gone through a few official procedures for the project but it’s tricky. We figured the best way to get this project off the ground would be to turn towards the Retro community and to our loyal fans. 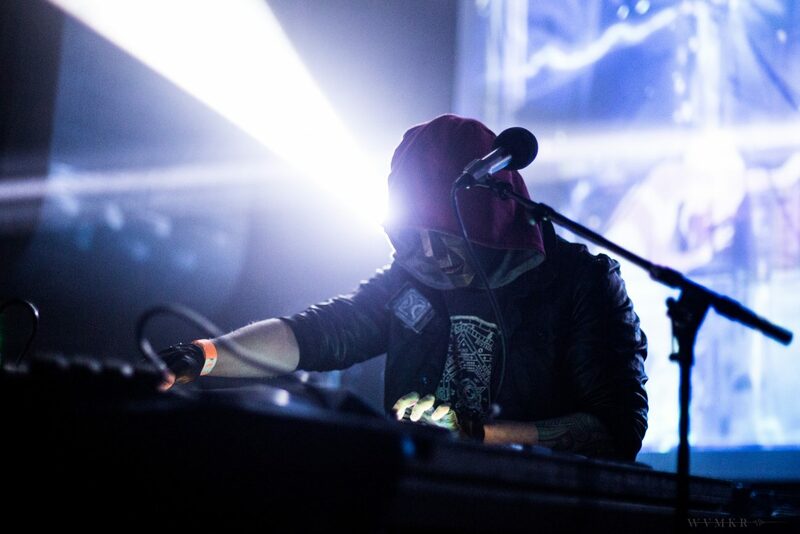 How did you meet your music collaborators, Meteor and Fixions, with whom you will be once again working on Cyborg – Deadly Machine? I believe I first came across Meteor through NewRetroWave [laugh]. I got in touch with him around the time I was starting to work on Kickin’ Jack, as I had fallen in love with his first album Parallel Lines. I was a huge fan of his work and so I offered to make a music video for one of his songs called ‘Escape the Fate’, and the video actually ended up on the NewRetroWave channel, actually. Our collaboration started from there. 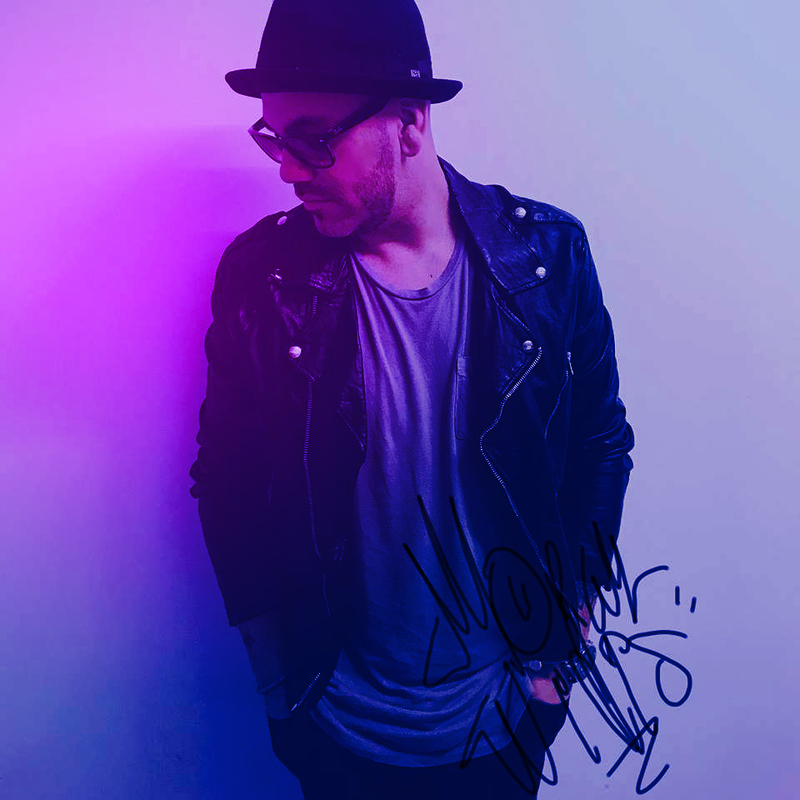 He was also a fan of our work and when it came time to make Kickin’ Jack he gave us his consent to use the music from his album and he really appreciated it. Up until now we just used his songs for our videos. We also used his second album Inner Demon in Rage of Fire II. It only seemed natural to work with him again, as I’m a huge fan of his and I really want to get an original score for the project. For Fixions, it was actually him who contacted us first. We didn’t know who he was but we later found out that he was the guy who made the soundtrack to Mother Russia Bleeds. We eventually hit it off and became really good friends. Furthermore, he also lives around my area so he also participates in the making of our videos. I think the pair will really add something to the project through their complementary styles. Meteor is rather Synthwave/Outrun-driven, whereas Fixions is sounds more Darksynth, which will go well with the whole post-apocalyptic decorum and the machines in the film. Closing off : can you name one of your favorite albums, movies and books? The Killer by John Woo, Inner Demon by Meteor and The Road by Cormac McCarthy. Cyborg –Deadly Machine is a project we’re really passionate about. We believe we’ll be able to make something really fun and special. 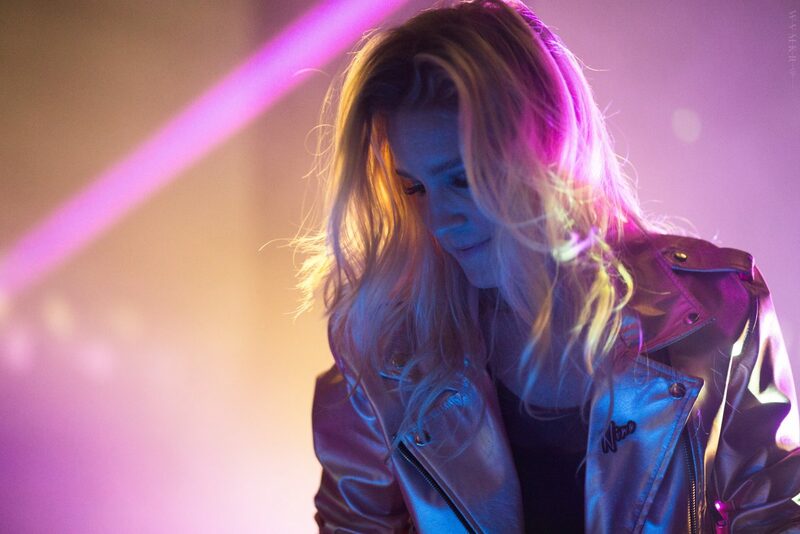 We really want to work with these Synthwave artists and we hope that you will find some cool stuff on our Kickstarter page and that you’ll dig it. Keep listening to Synthwave and ‘Stay Cool, Stay Retro!’. Be sure to check the ‘Cyborg – Deadly Machine’ Kickstarter page here if you wish to know more and support the project.